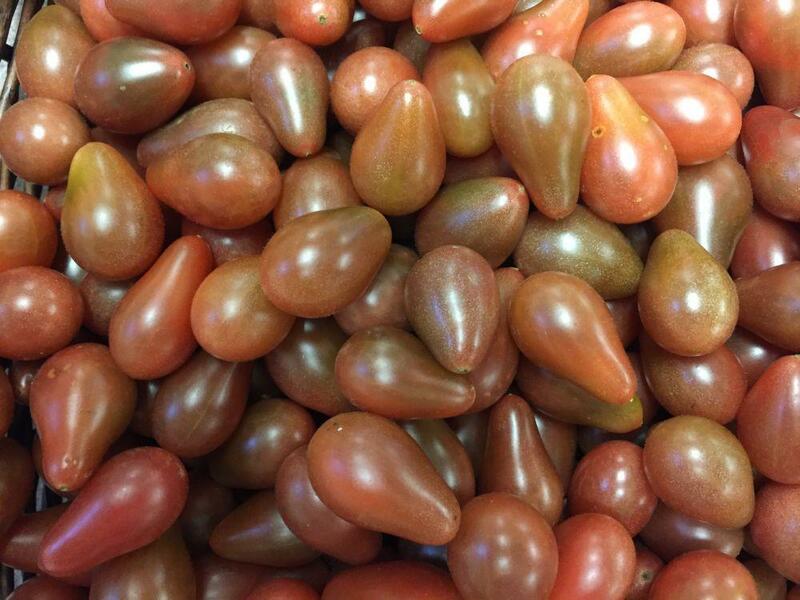 These Midnight Pear tomatoes among Cornell University's new varieties. It's called the Galaxy Suite and includes yellow fingerling Starlight, oval orange Sungrazer, red Comet, marbled Supernova and dark purple Midnight Pear. They are available from High Mowing Organic Seeds in Wolcott, VT. The new varieties were released by Phillip Griffiths, associate professor of plant breeding and genetics at Cornell AgriTech in Geneva. He said they are ideal for hobby gardeners, as well as farmers looking to connect with consumers in niche markets. Griffiths said the tomatoes are also well suited for the plastic high-tunnel greenhouses farmers use to extend the growing season. Wegmans Organic Farm and Orchard in Canandaigua ran small field trials with the tomatoes last season and reported good results.